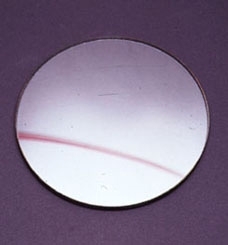 Second surface concave mirror. 5 cm. diameter with a 5 cm. focal length. Good for light concentration experiments.